We have some great news here at CapeRecovery, for it's clients and The Recovery Community of Cape Town as a whole. 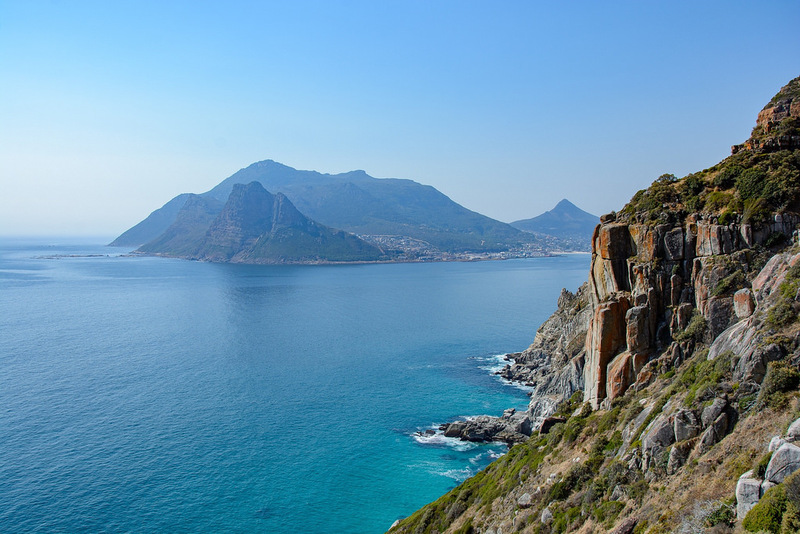 We have recently visited and teamed up with the best private eating disorder clinic in Cape Town South Africa! The question is, what makes quality eating disorder treatment? Well, some might say facilities and luxury but a massive swimming pool, spa treatments and such like merely distracts from the purpose and in my opinion, the more things like that you get, the less the closeness and feeling of community is evident. Eating Disorders like Addiction are quite simply a matter of life and death, you don't go to be pampered, you go to be shown how to face up to the reality of the dangerous situation you are in and essentially to save your life. I do have a luxury place if that is what the individual really wants but for seriously effective care and client centred treatment, I am far happier sending all of my eating disorder or food addiction clients here. A home, very close to a family like, atmosphere here makes it feel not like a clinical institution but like a place where people are well cared for and really feel at home. Treating Eating Disorders requires a great deal of experience, sensitivity and sometimes a firm hand is required in terms of laying down rules, this place has the perfect balance of that, doing everything necessary to help the client honestly face up to their situation and guide them gently to recovery. Our Private Eating Disorder Clinic in Cape Town South Africa really is in a league of it's own, their aim is to restore the future of people suffering from eating disorders and they really go out of their way to do this. They are widely recognised as experts in the treatment of dual-diagnosis clients where both the eating disorders and any co-existing psychiatric problems or any additional addiction (drugs or alcohol) or process addiction issues are present and all of these are treated simultaneously in order to restore the individual back to full health. This philosophy works in this place, I personally know many past clients and they speak very highly of the place, it really seems to be an unforgettable, life saving experience! The eating disorder programme at the treatment centre includes support and care for everyone who wants recovery from eating disorders, these include anorexia, bulimia, compulsive over-eating and other related disorders. Anorexics, bulimics and compulsive over-eaters really benefit from the love and mutual support of others who are overcoming similar problems and the clients all live together in a home-like environment that attracts both local and international clients. The basis of care is very much a process of teaching clients to believe, trust and love themselves. Each planned level of care utilizes a multidisciplinary approach with individualized care plans that address the nutritional, medical, psychological, and interpersonal needs of every client. This approach is carried out by an experienced team of psychiatrists, psychologists, nursing staff, dieticians, counsellors and recovery assistants, providing all that is required for effective eating disorder treatment. 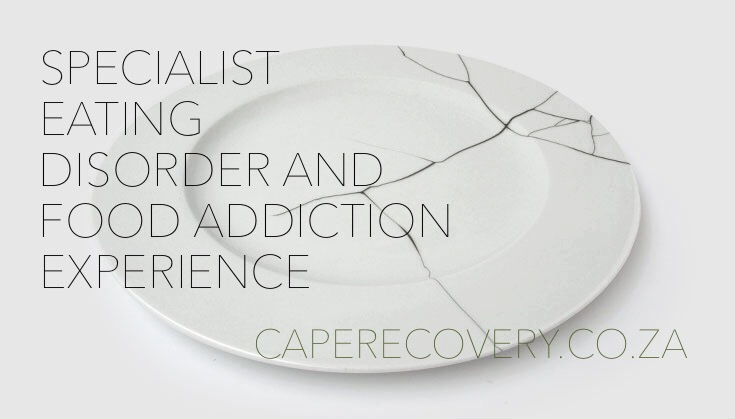 So, if you want this level of quality in the best private eating disorder clinic in Cape Town South Africa, simply get in touch and we will arrange everything for you! The joint working with CapeRecovery, enables this special clinic to be a part of all our specialist rehabs, treatment centres and clinics utilised in the Cape Recovery Experience with full aftercare, continued care, secondary treatment, tertiary treatment and supported sober living with social support from the Cape Town Recovery Community and even Volunteer Work Opportunities and Charity Work Opportunities. This all enhances the stay for you or your loved one. We sort everything out for you and we support the families of all our addicts throughout the process. We have a unique way of treating addiction that is all about individual care planning and we place the focus on staying clean and sober and enjoying life, living clean. If you are from South Africa simply Contact Us. If you are from overseas then all you need to do is jump on a plane, I'll even pick you up from the airport myself! Contact our Eating Disorder Clinic Direct. So, if you want to know more about our complete CapeRecovery Experiences or to access the best private eating disorder clinic in Cape Town, South Africa and probably the World then get in touch with us via e-mail or phone (SMS, WhatsApp or Call) and we will arrange everything for you!